Cookies are short text files that websites store on your computer to faciliate various functions. We have listed below some of the cookies that may get stored on your computer by Oven.ie (Oven Ace) while you browse our site looking to book a professional oven cleaning service. Third Party Social Cookies - where we have integrated social media sites into Oven.ie (Oven Ace) such as *twitter etc. 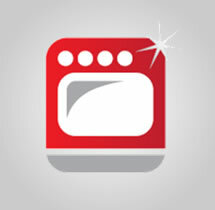 Thank you for taking the time to visit Oven.ie, home to Oven Ace - Professional Oven Cleaning. 100% non-toxic, Eco and Environmentally Friendly - Tested and Designed to enable Our Customers to use their oven immediately after the Oven Ace oven cleaning procedure has completed. NO FUMES! NO MESS! USE STRAIGHT AWAY! Some images Oven Ace's ovens professionally cleaned using a non-toxic and environmentally friendly oven cleaning system . 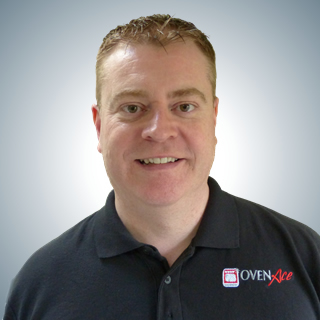 Oven Ace is a Dublin based Oven Cleaning service provider. We clean domestic ovens with a 100% non-toxic environmentally friendly oven cleaning system developed for over 20 years. We have no need to use your sink as all of our Oven Ace Mobile Oven Cleaning units are fully equipt for the toughest of Jobs. Best of all - you can use your cleaned oven as soon as we finish. No Fumes, No mess, No Fuss.